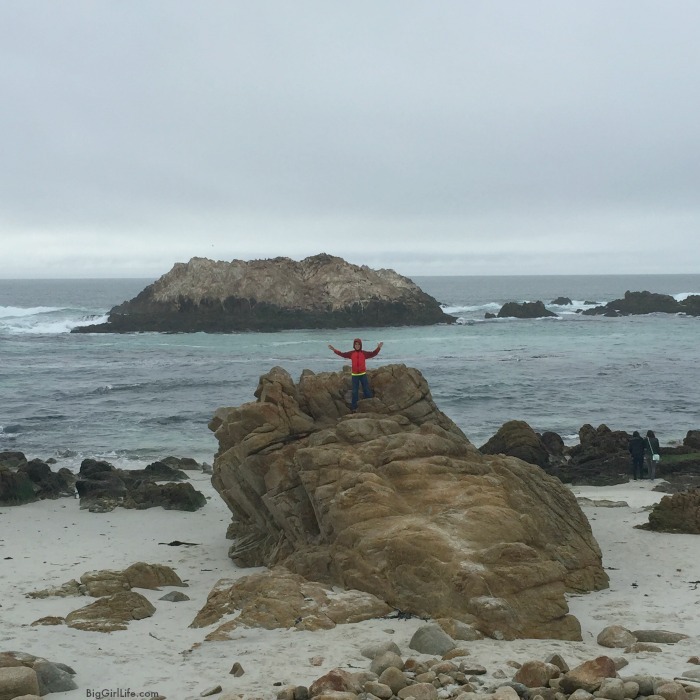 We took the kids to San Francisco and Big Sur for Spring Break last month. It was shorter than I wanted due to my other obligation to yoga teacher training right now, but we managed to see and experience a lot into those magical six days considering two of those were mainly spent in the air. 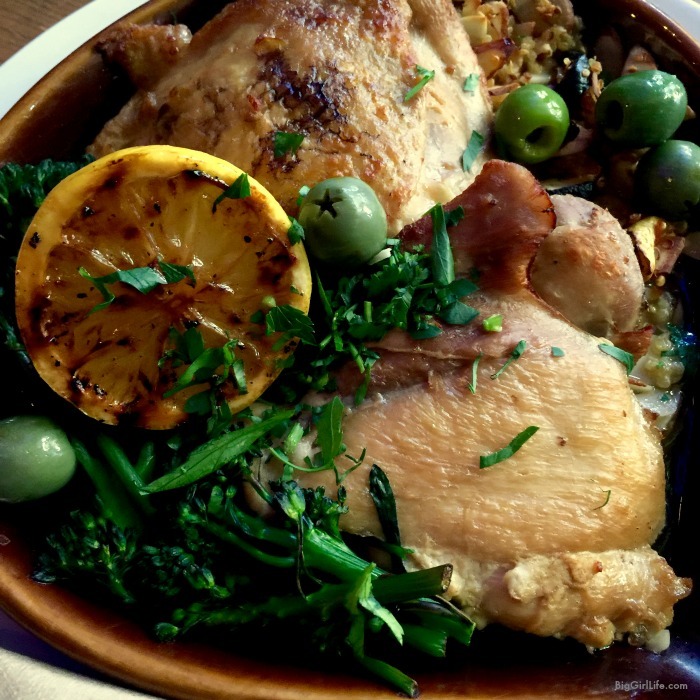 Before you travel be sure to make a reservation at Zuni Café a restaurant so highly raved about by foodies it's a must-book in advance. Also, reserve your tickets for Alcatraz/ferry early. It's best to go in the morning so you can leave the rest of your day open to explore the city. Flew nonstop direct from Fort Lauderdale to San Francisco via Jet Blue. Rented a car and drove into the city. 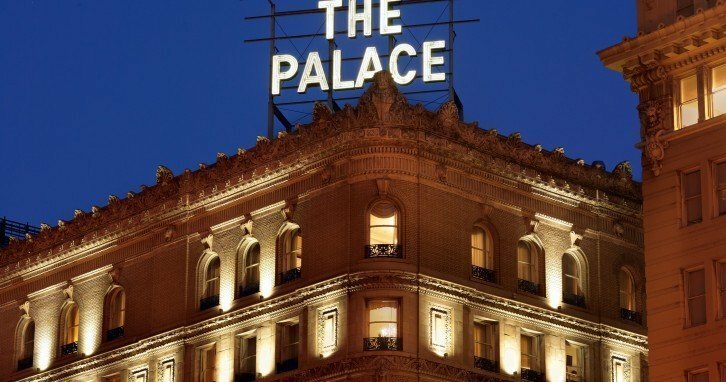 Checked into the iconic Palace Hotel. Our rooms were gorgeous. The concierge service, valet, pool, gym – everything was A+. 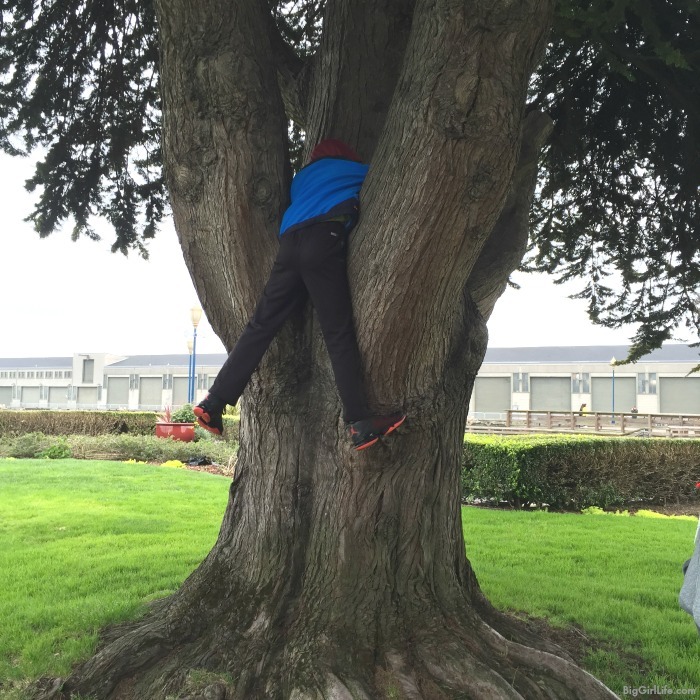 We explored Market Street and Yerba Buena Gardens that afternoon. 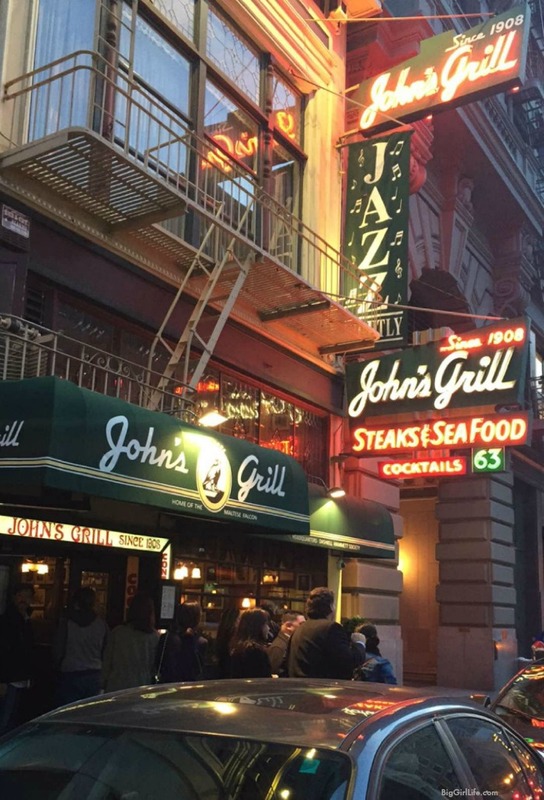 Had a fantastic dinner at The The Grove on Mission Street (just a short walk from the hotel) and passed out early in our comfy beds. 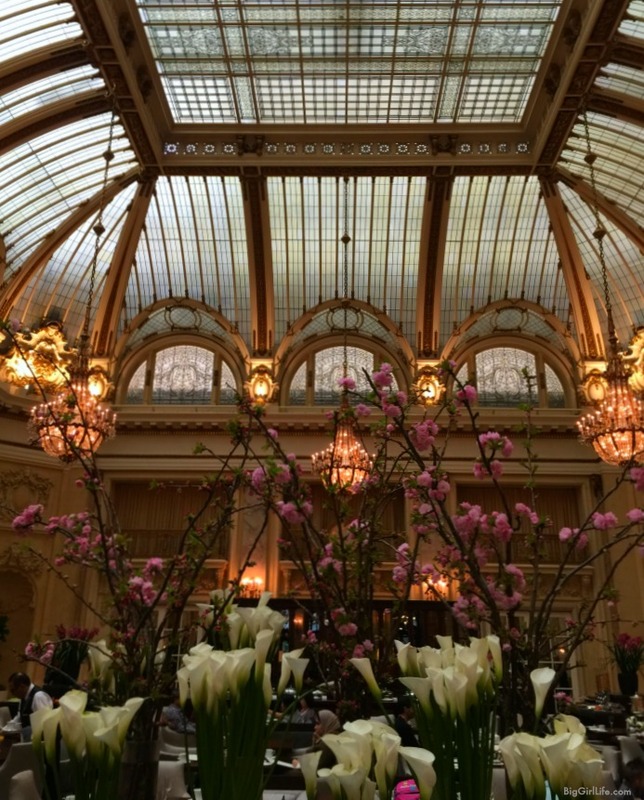 Had breakfast at The Palace's garden restaurant – there is a buffet or menu service. It was delicious. Took a Flywheel cab (download the app to make it super easy to call) down to the waterfront and walked along the waterfront to Pier 33. We took the 9:30 ferry over to Alcatraz Island. 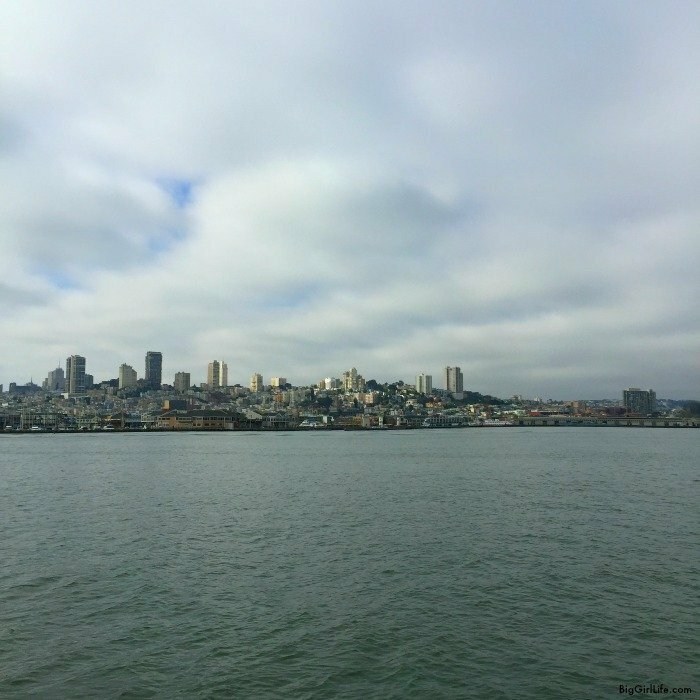 The city was typically grey that morning but the ferry offered great photo opportunities of the city and the Golden Gate Bridge anyway. Once on the island, they give everyone options and then set you loose. The Federal Prison there was decommissioned in 1963, and the entire island is now run by the national park service. We opted for the audio narration tour which was exciting and interesting; way better than following around a tour guide with 100 other people trying to hear what they are saying – it blew the boy's minds (and my own) to see these tiny cells and hear about escape attempts, grenades, food riots and escape plots. There is just something eerie and deeply forbidding about walking into a solitary confinement cell. They joked around with me and went to shut the door and I could feel a vague panic at the thought of it. It really made an impression on the boys. 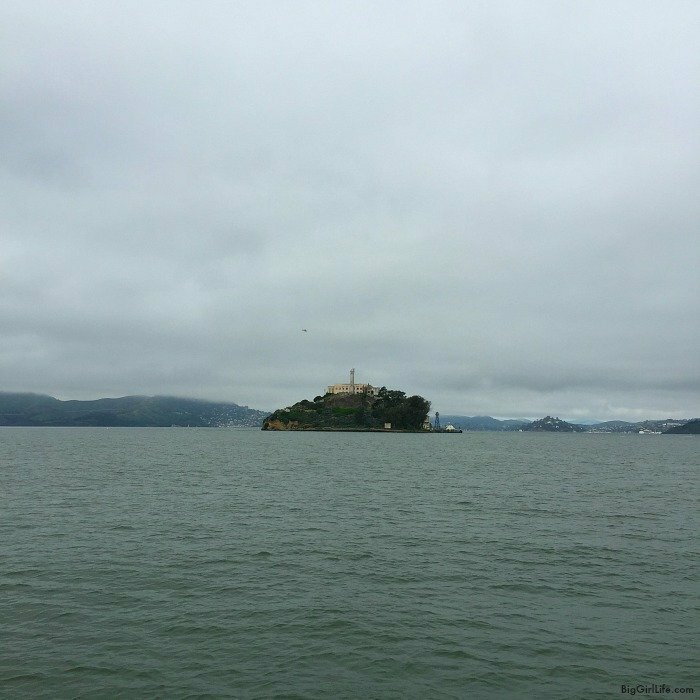 It brought back many memories of watching Escape from Alcatraz with my Dad in the late 70's. 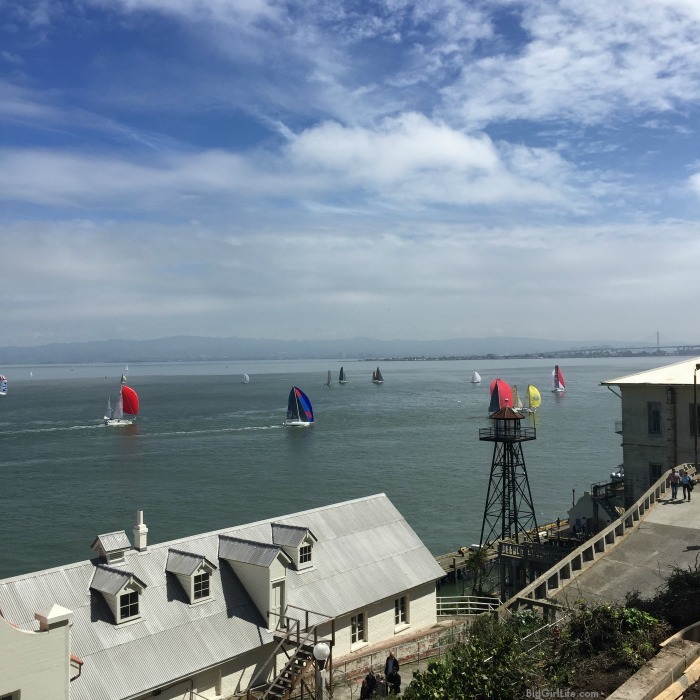 By the time we headed down the hill back to the ferry the sun had come out and sailboats dotted the bay. 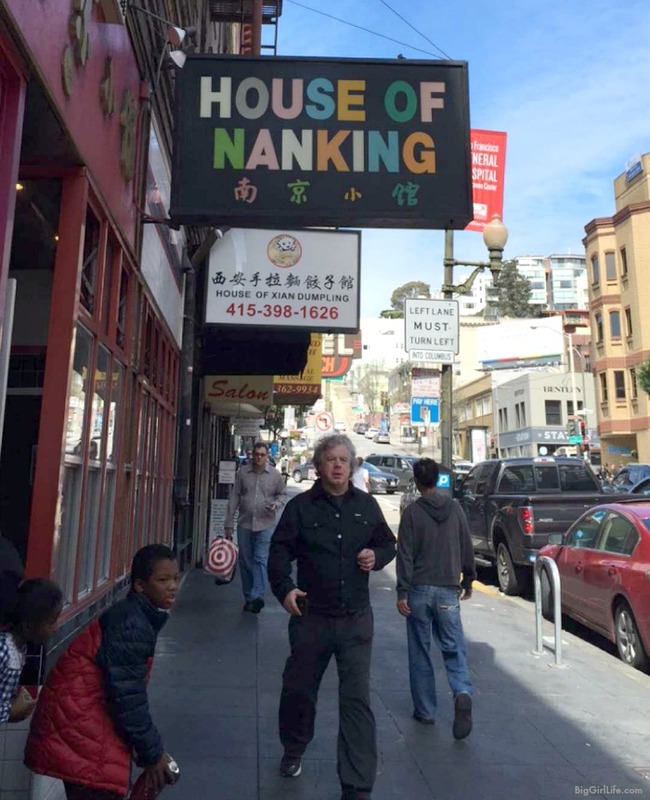 After a walk along the waterfront, we took a cab over to Chinatown (just a few miles) and had lunch at House of Nanking, which was a loud and busy hole in the wall. It was service with an attitude – in the best way. The food was fantastic. I had a lemon noodle soup that was nothing like I ever had before. Yum! After lunch, we took another cab over to Hyde and Beach Street where we walked up Hyde for one block to Blazing Saddles Bike rentals. This place is a machine. 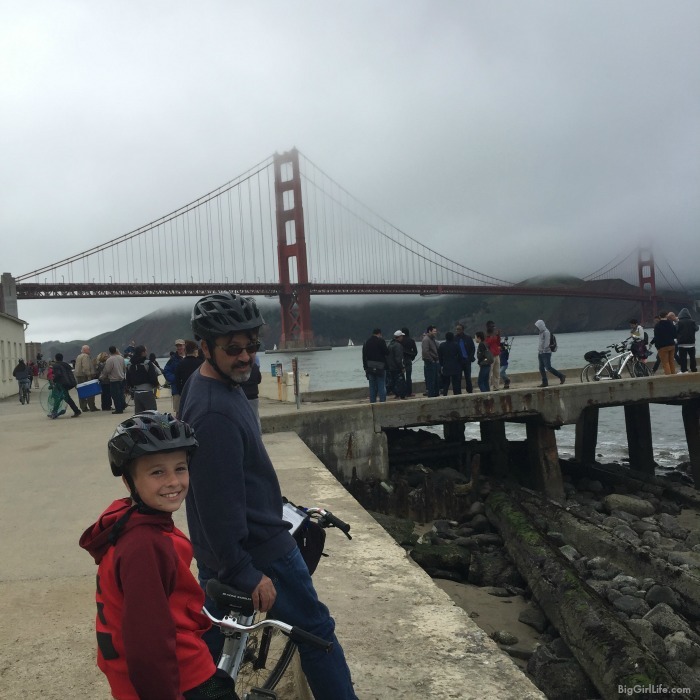 They had us outfitted and ready to ride over the Golden Gate Bridge in record time. Riding along the waterfront hilly paths was a challenging and super fun adventure. Seeing all of the young San Franciscans out in the parks, playing frisbee and hanging out you really got the feeling that this is a young person's city. It is vibrant and alive. And I'll never forget the sharp smell of the eucalyptus in the air as you pass by these giant trees. There is a warm-up shack before you scale up the last hill to get up to the bridge. Locals were even surfing this sweet little swell at the base of the Golden Gate. 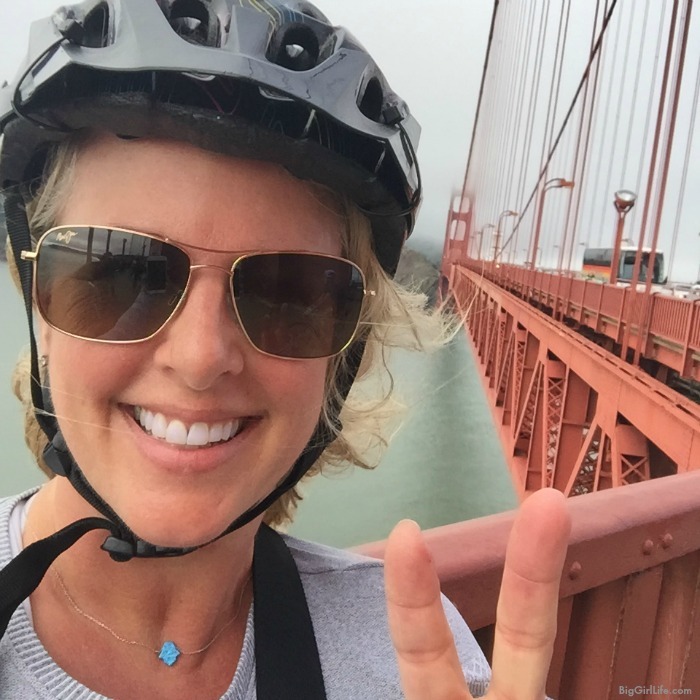 riding along the Golden Gate bridge was pretty epic. The scale of the Pacific beneath me, the enormity of the Bridge arches, the thunderous traffic, and the dizzying height made this moment unforgettable. 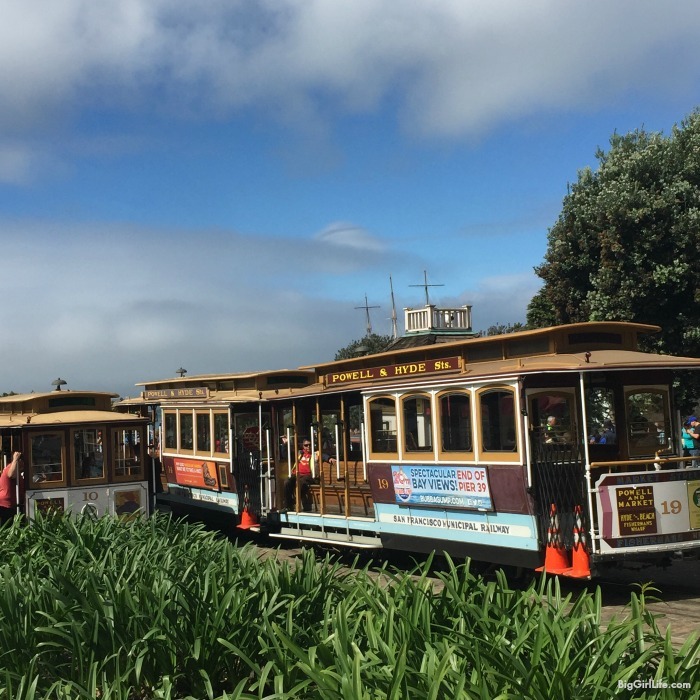 After we dropped off the bikes, it's a perfect place to stop into the Buena Vista Cafe for an Irish Coffee, take a trolly ride, observe the custom knitted tree sweaters lining Hyde Street (What?? ), and or take a tour through the Ghirardelli Chocolate Factory. We packed up checked out of the Palace and enjoyed brunch at Grove. Brunch conformed that this family-run restaurant was our favorite spot to eat. 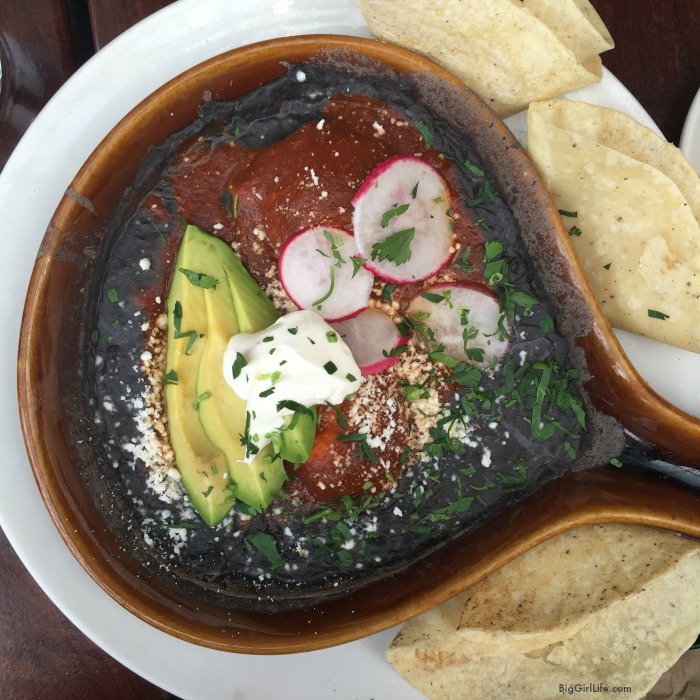 I had baked eggs and molé beans and avocado. Go early as the lines get long. 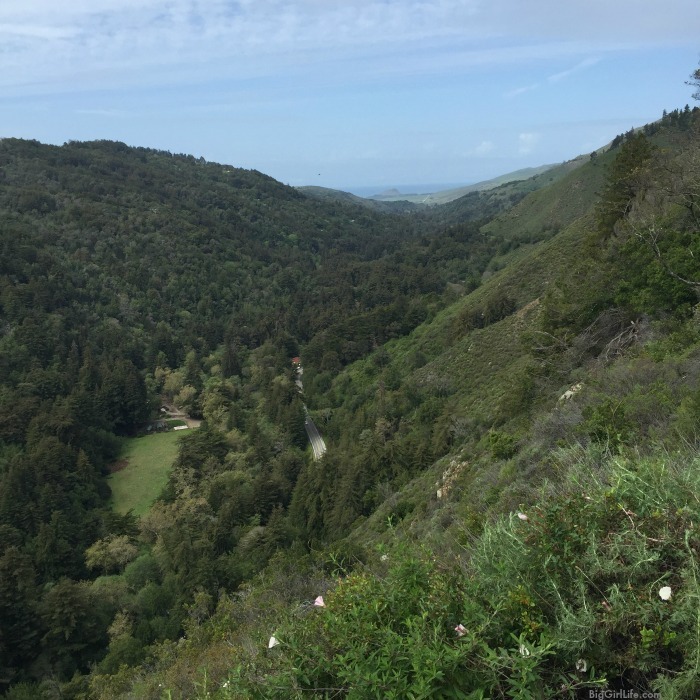 Next, we drove south for the second part of our vacation with the intention of exploring the Pacific coastline en route to our destination Pfeiffer Big Sur Lodge where we wanted to sleep among and hike in the redwood forest for the rest of our trip. We decided to start our coastline trip at Santa Cruz. To get there we drove down highway 101 through Silicon Valley. I recognized the Cupertino & Mountain View exits from reading Isaacson's Steve Jobs biography. Next, we cut through the coastal range mountains on route 17 which was a good hour or twisting and turning through the mountain range. Again; coming from flat Florida we all loved it. You could already see the giant sequoia trees growing here. We buzzed by Santa Cruz which is basically the Wildwood New Jersey of the California coastline – there are rollercoasters, games, arcades, and a pier. We knew we'd end up staying all day if we stopped, so we just drove to our next stop – the Monterey Peninsula and Cannery Row. On our way, the highway brought us into the Salinas Valley; which I had pictured in my mind endlessly from reading my favorite book of all time; Steinbeck's East of Eden. To see the farms spread out in the California sun was like bringing my imagined memories to life. What a treat. 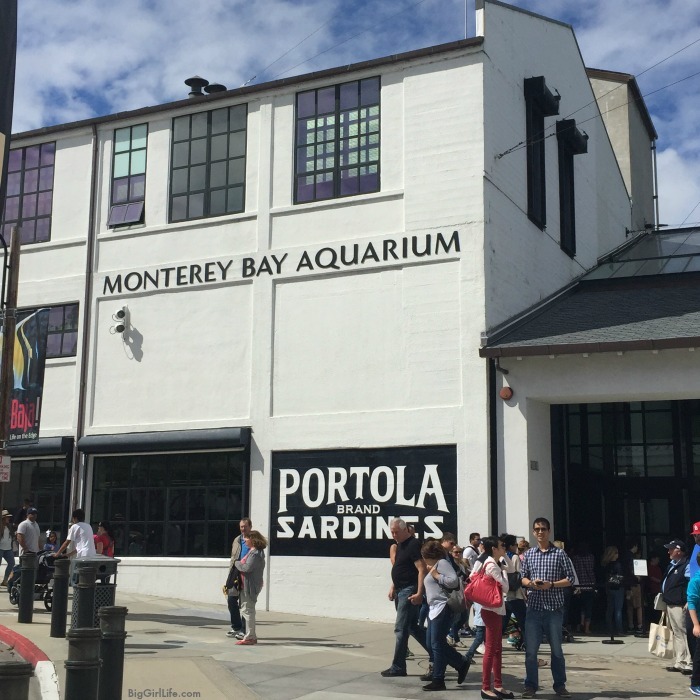 Once in Monterey, we parked just up the hill from the Cannery Row waterfront; toured the Monterey Aquarium and had a forgettable lunch. The Row was jam-packed with tourists as it was Sunday. The aquarium is great, but I would have preferred to go during the week when it would be less crowded. Then we got back in the car to drive the famous scenic 17-mile drive along the Monterey Peninsula; that includes a stretch of beachfront at the famous Pebble Beach golf course. We took lots of photos and made many stops to take in the air and views. After making our way through the peninsula, the last part of the drive is where the PCH/1 clings to the coastal cliffs offering sweeping views of the Pacific and all its glory. The drop-offs are scary, the bridges are narrow, and the speed everyone drives is kind of crazy. Very exciting. Finally we arrived at our humble little lodge just after 6 pm; bought firewood and made a fire in our cabin fireplace (a novelty for us Floridians) ; which was more like a little condo; but we didn't stay there for the lodging we chose this spot because it's located right inside Big Sur Pfeiffer State Park. We had breakfast at the lodge and headed out on our hike. 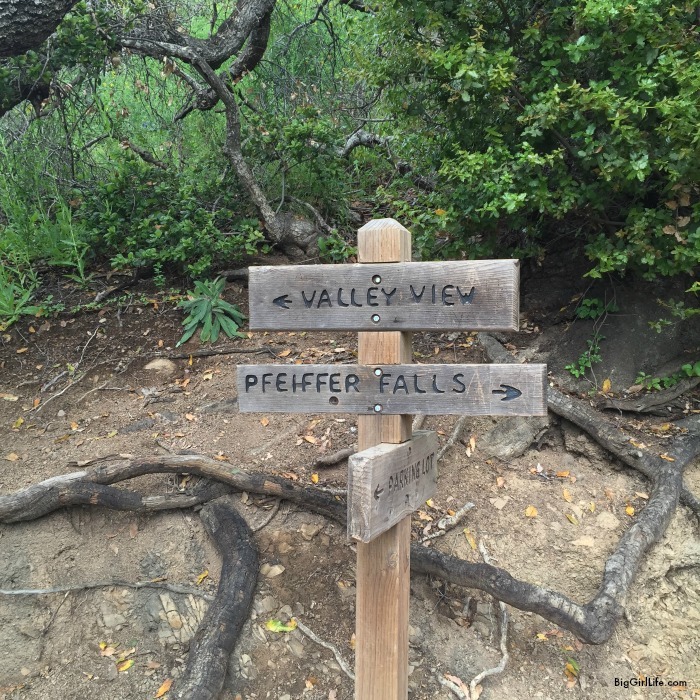 There are tons of hikes of all different distances and ability levels. Since we are not experienced hikers we took two of the easiest trails; took our time, and stopped a lot to enjoy the views, hug sequoias, and take photos. 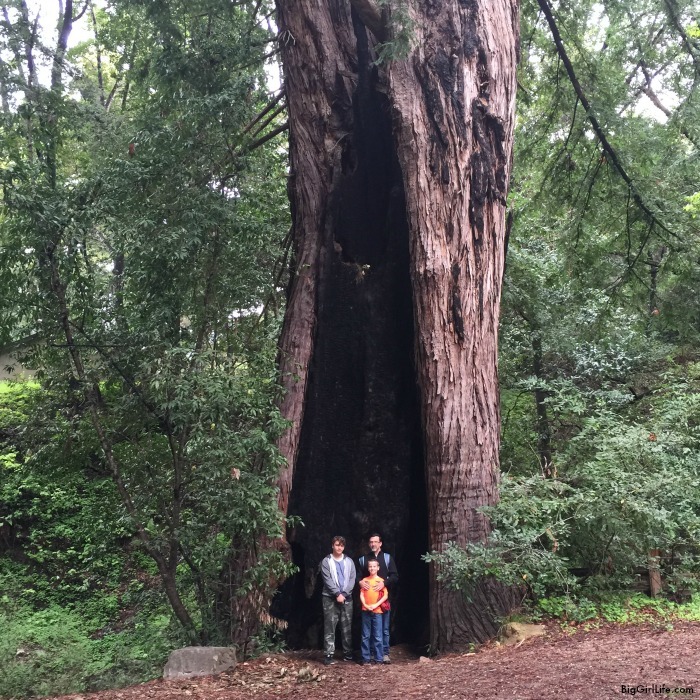 There really is nothing like hugging a 1,000-year-old sequoia tree. That was a big bucket list item for me. What a happy day. After our hike, we had lunch at the place up the street and then just lounged, read, made a fire, enjoyed the cool temperatures and then had dinner at the lodge. Husband woke up sick; ugh. I took a mini hike after breakfast along the river. the beauty of this place is really indescribable. I bought some cold medicine for The Captain and he rallied as best as he could. We didn't know it at the time but he had come down with full blown flu. 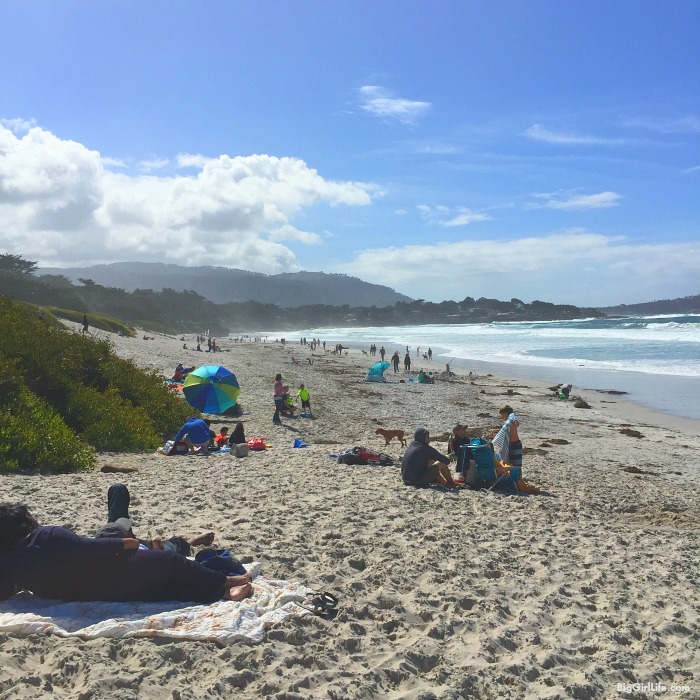 We packed up and headed back north along PCH and up to Carmel by the Sea, which I had always wanted to visit. This little town charmed me so much. 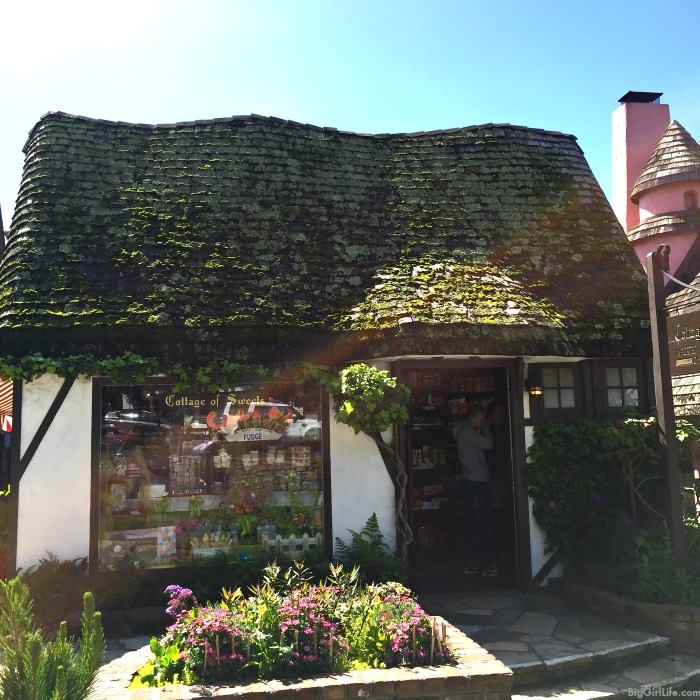 The little homes and shops look English cottages with moss -covered roofs. The cute factor is off the charts. There is a posh and little downtown that runs along Ocean Ave. which leads all the way down the hill to the public beach; where everyone has their dogs and it's chill. Parking is free. The waves are massive and there is salt spray in the air and it feels like a cleanse for your lungs and fresh oxygen for your brain. We had lunch at an epically good little Mediterranean place called Dametra Café and then walked the downtown before heading back to the car for the trip north. Since we had an early flight the next morning we opted to stay at the Westin right near the airport. We dropped off the car that afternoon and just chilled out at the hotel enjoying the comforts of on-demand movies and wifi again and so hubby could get some much-needed rest. The nonstop direct flight back home to Ft. Lauderdale Florida put us back home about 8 p.m. My secret to quick unpacking is to change the wifi password until all suitcases are emptied and put away (haha) and then I spent the next four days washing everything that smelled like smoke from Big Sur Lodge. I loved this vacation so much even though I could have easily spent twice the time in both places. Even so; it was a great introduction to San Francisco for us, we saw some famous landmarks, loved the food, and got to experience the redwoods. I can't wait to go back.